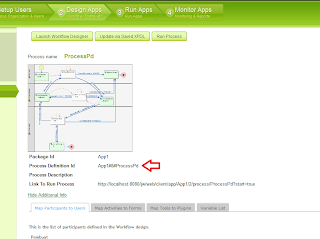 The Joget Workflow Engine have JSON API interface which could be used to query and control workflow processes. This will be useful if we need to implement a custom front-end UI for joget workflow. Especially if the development team have minimum or even zero Java development experience. I have created two API test applications, one is using PHP and the other is written in C# using .NET framework. The PHP version is written using the wonderful Yii Framework. The C# version is a windows forms application, but the WorkflowService class theoretically could be used in ASP.NET application. To start using this test application, you must first configure joget to allow login using master login username and master password (click System Settings:General Setting, find the section System Administration Settings). Fill the master login & password (in my example, superuser and password00). This must match the password in top of protected/components/YREST.php or WorkflowService.cs. Then you should create a workflow or choose a sample workflow. 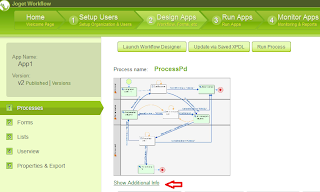 Open the workflow page ( 2 Design Apps : [Application Name]) using Joget's Web Console Application, and click on the 'Show Additional Info' link. Write down the Process Definition Id, but replace the '#' with ':' character. The process definition ID could be used to start process in the tester application. 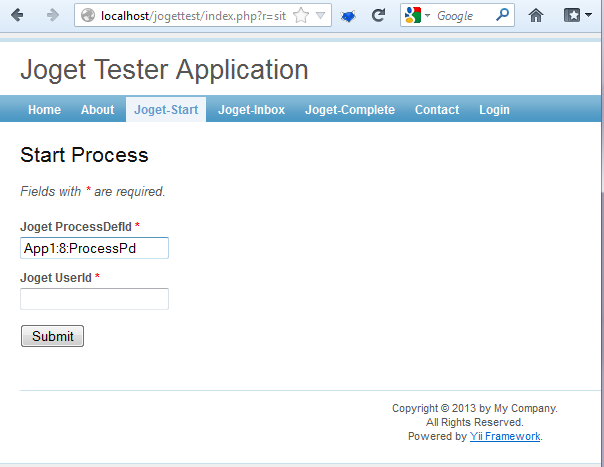 Fill in the process definition id in the Joget-start page. 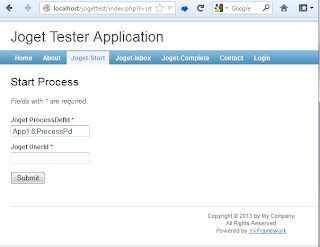 Fill in the userid with existing Joget User ID. 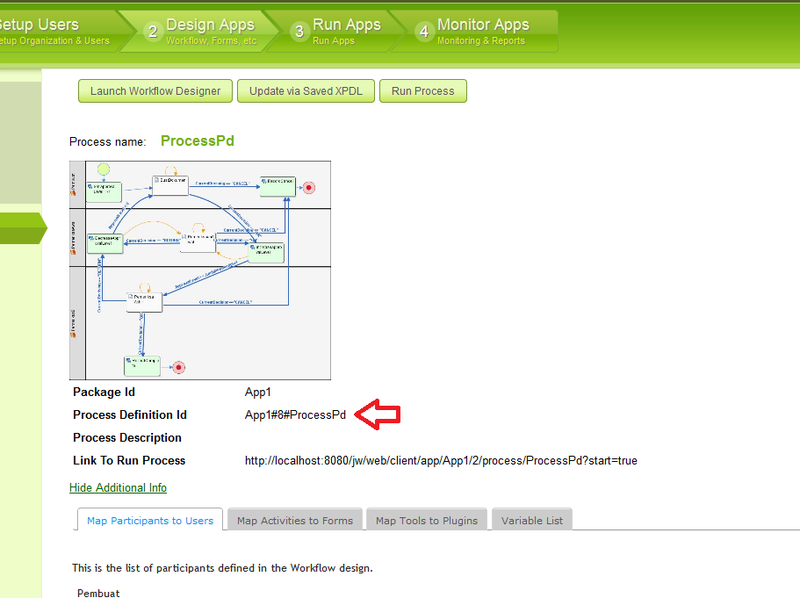 Afterwards, you could check that the workflow will be started in the Joget Web Console's Running Processes view. To query the inbox for a certain user, fill in the userid in Joget-Inbox page. 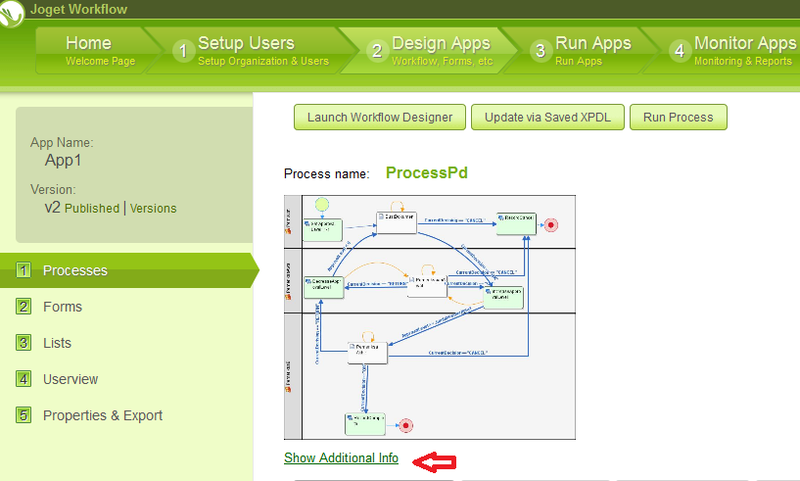 To control the workflow, you could fill in the activity Id and userid in the Joget-Complete page. Up to 3 variables could be set from this page. Of course this all could be done from joget Web Console 's UI. But the purpose of these two test apps is to demonstrate how do we access the Joget APIs from PHP platform and from .NET platform . 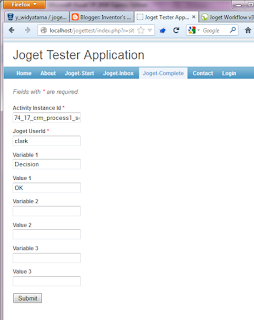 thanks for sharing, it gives me an idea on how to integrate Yii framework with joget. how can i embed joget form into Yii framework? I'm using the CRM sample app and I was able to run the process from the C# form but I am unable to run the activities. How can I do that?